From my conceptual art work: "Polygons & More". 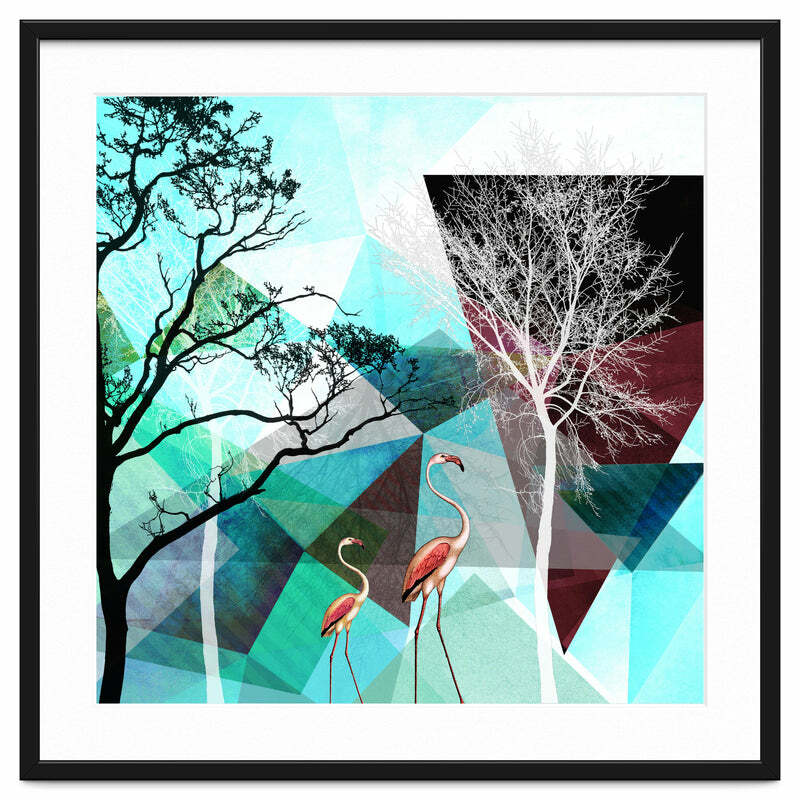 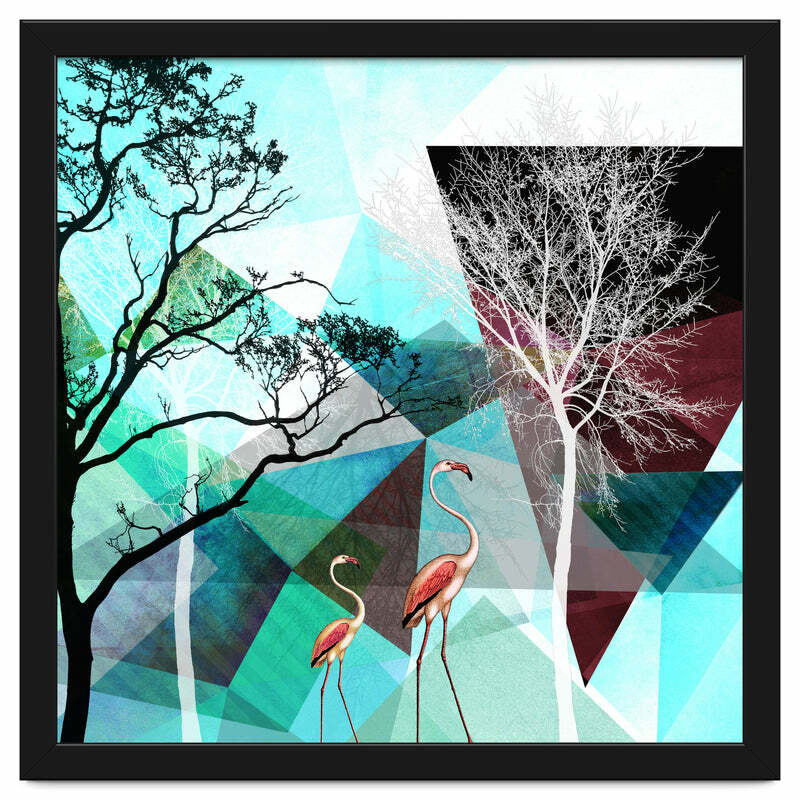 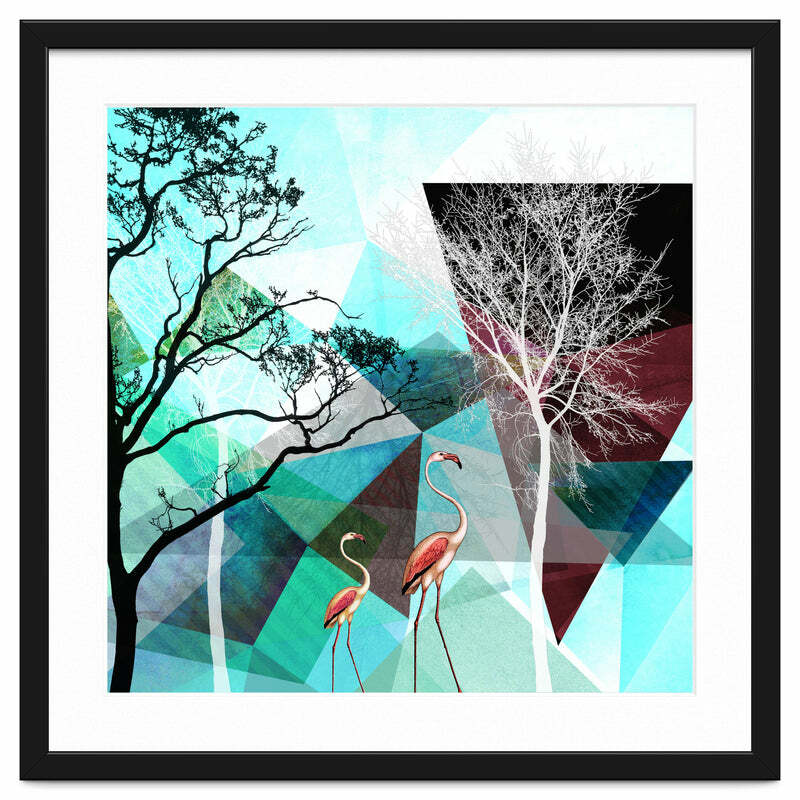 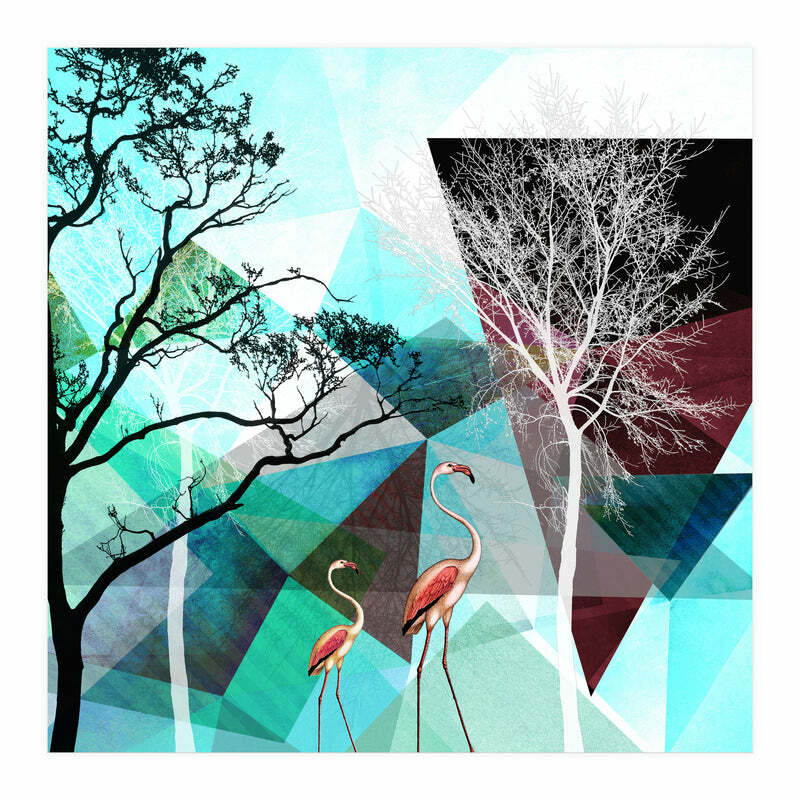 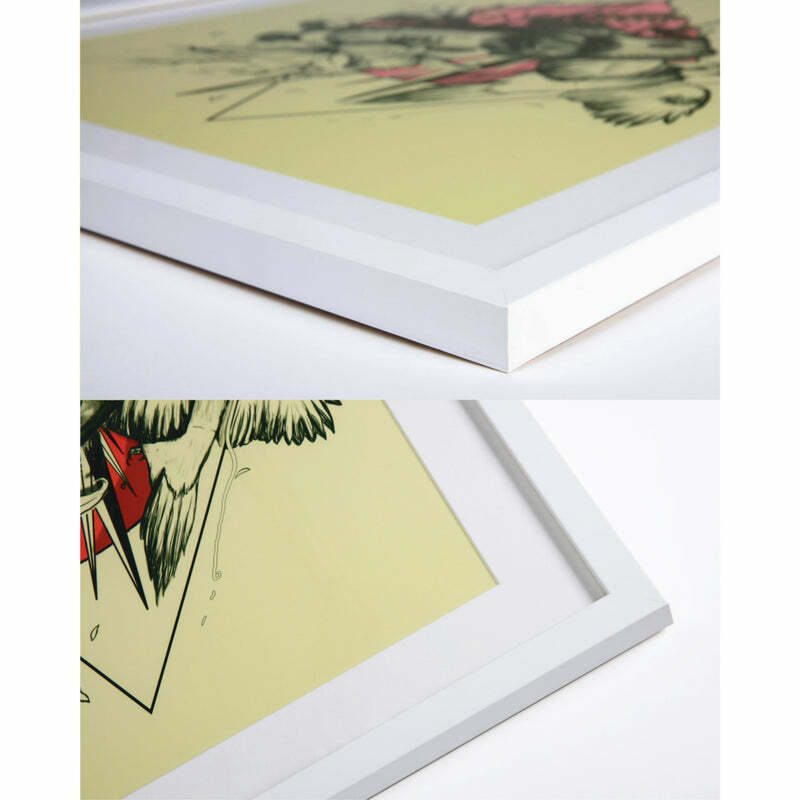 2 flamingos are walking through a graphical fantasy landscape, consisting of geometric shapes and tree silhouettes. 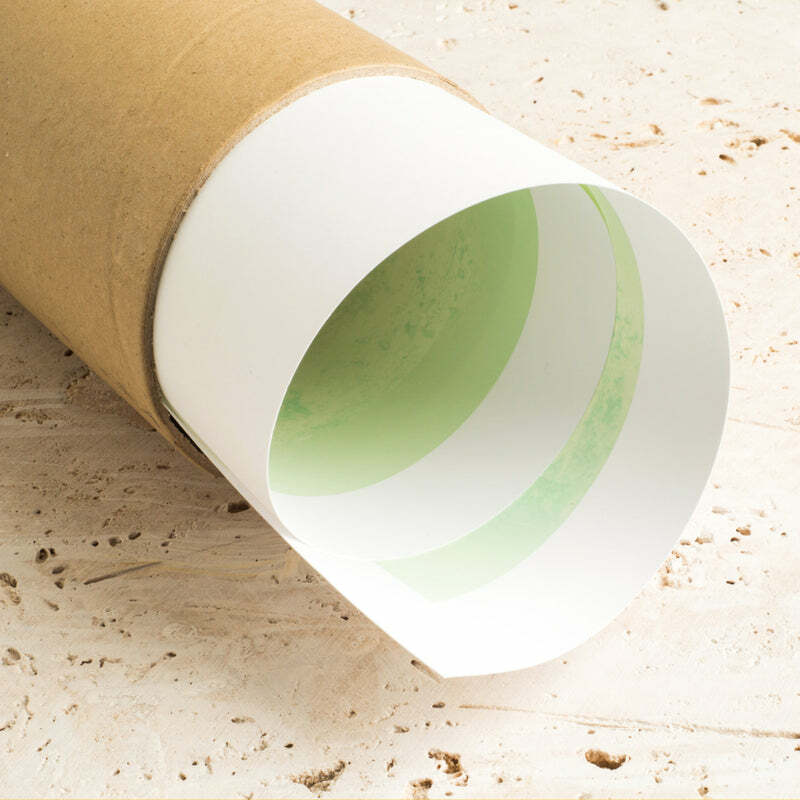 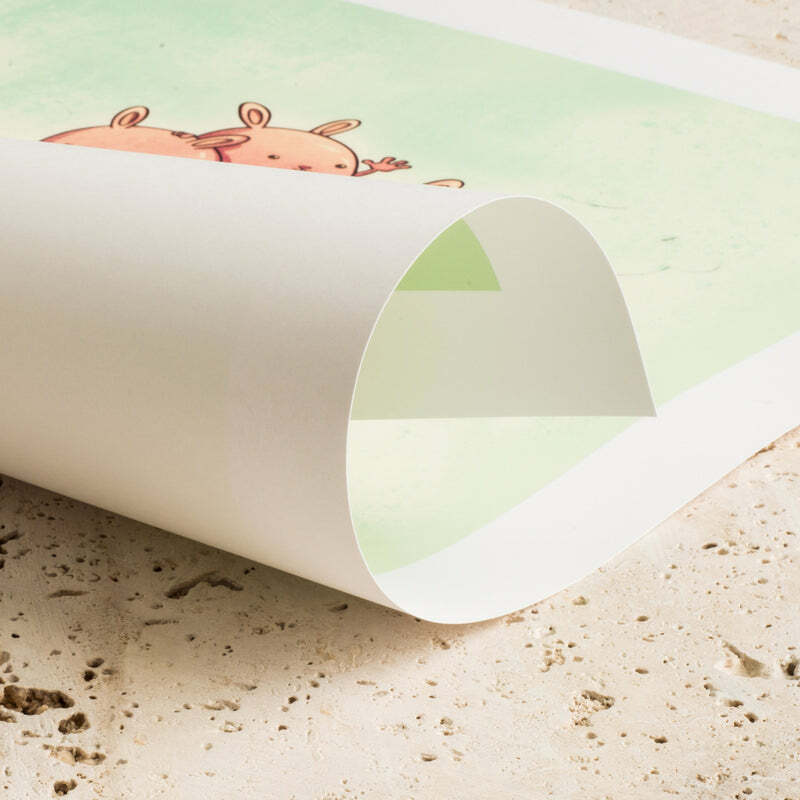 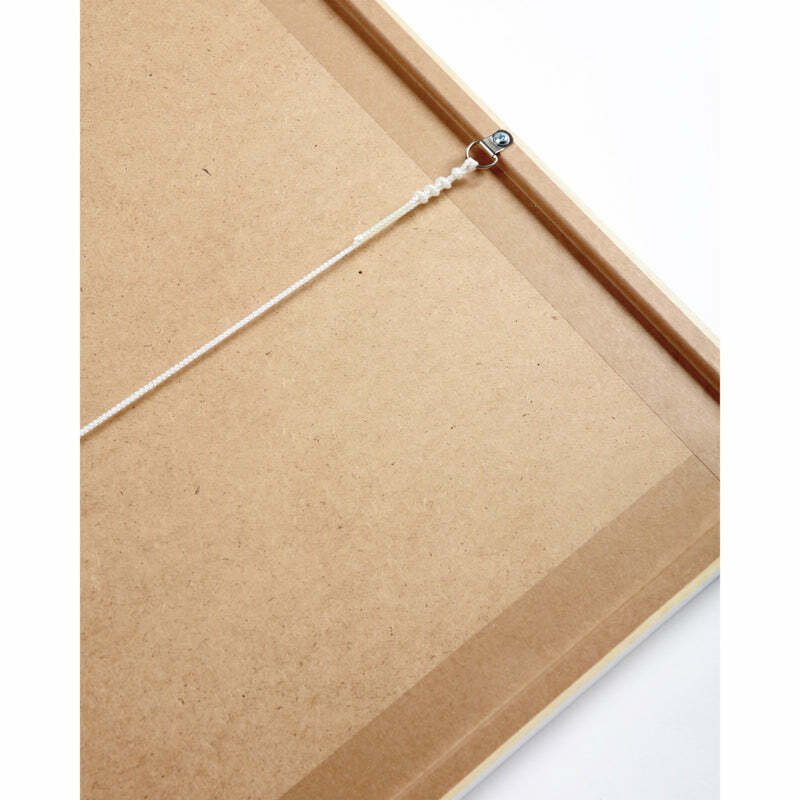 ©2015/2017 Pia Schneider | atelier COLOUR-VISION.